This young athlete, Liza Maman, attached a GoPro camera to her jump rope and created an original video that will make your head spin! After watching it twice, scroll down to see some photos. It helps grasp what’s going on. And then, there are few links to other great extreme videos. Enjoy! 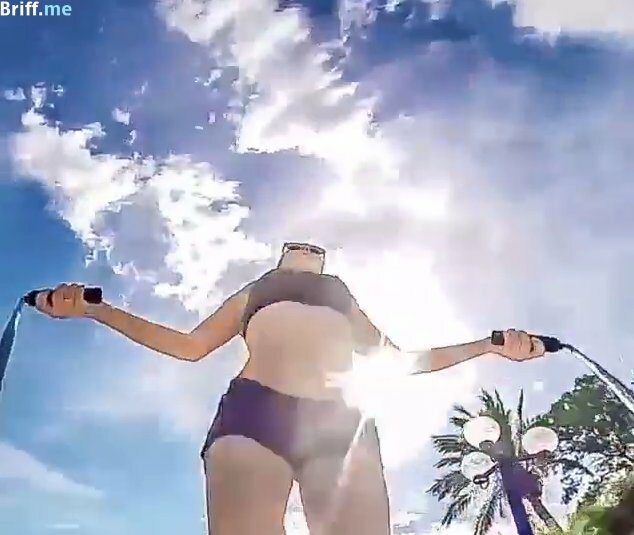 This type of video reminds us what makes GoPro videos so interesting. They give a whole new angle to things we’ve been doing for year. 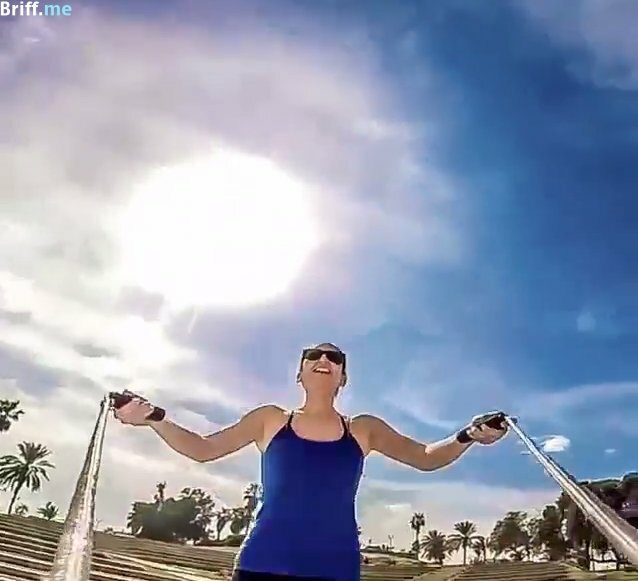 This girl actually reinvented jump rope and gave it a new meaning. I’m sure that after this video goes viral – and it will! – thousands of young girls and boys will try their own versions. This post with the great jump rope GoPro video and the photos from it was edited especially for Briff.me. Hope you like it as well. If you wish to copy and share this, please be sure to give full credit and a link back. Thanks! 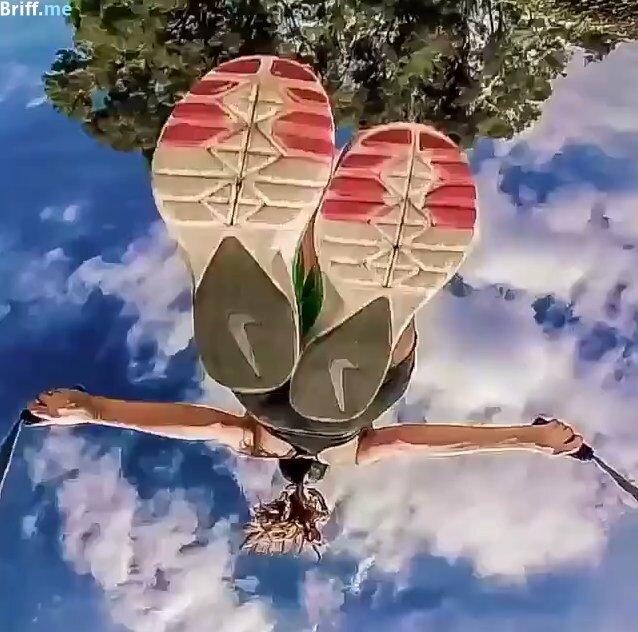 If you’re into GoPro videos with exciting new angles, don’t miss this post with the amazing mountain biking selfie video that looks like flying. And if you read all the way here because you love photography, here’s another exclusive post redefining the term office view. Don’t miss these amazing photos taken by a pilot with his smartphone.